enough energy or gumption to make your own inspiration as per usual, either. in a nutshell, nothing to work with. problems with stories can be fixed. 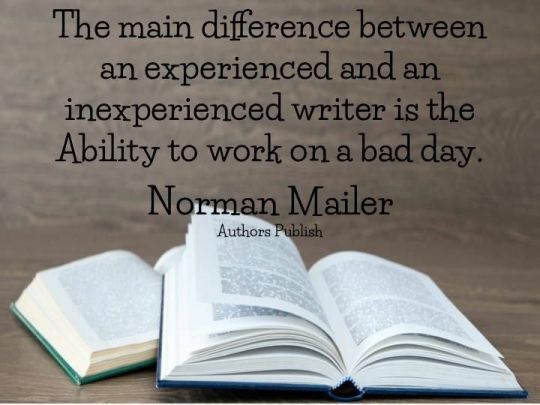 author … then the fix becomes so much more difficult. covers and sleep away the remains of any desire you ever had to be an author. and crawl through the misery that is this writing drought. Maybe from habit. there any way to cure it? I mildly tweaked my plotline to better appeal to my own interests. until August, at the earliest. decision you make in a day, with your quota apparently resetting each morning. power throughout that day for your writing time. Solution: I was up at 5:30am as often as possible to write. will save you, and bring you back to your full writerly potential. not being able to float and going home early …. well, it’s hard to wrap my head around it. the point. Do what you can to help yourself out, and then just keep showing up. end, you won’t be disappointed. “There is no rule on how to write. work on a bad day,” and ride it out. it! The rest of us know how you feel, and we know you can beat it! R. Frontera and the Wordwraiths!